Deep Space Station 42 was the Complex's original 26-metre antenna. Later expanded to 34-metres, it finally ended its service in 2000. 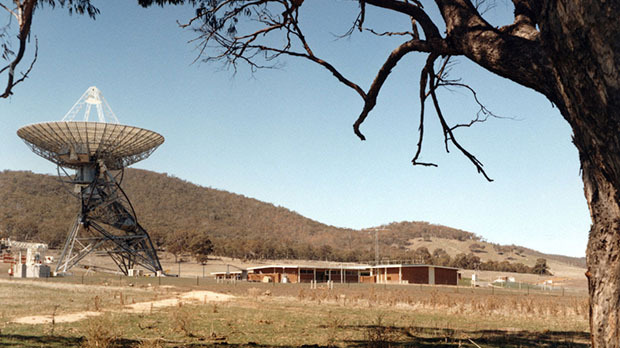 Deep Space Station 42 (DSS-42) was the first antenna built on the tracking station site. It entered service in mid 1964 and was designed with a 15 year lifetime in mind. Its first deep space mission was supporting NASA's Mariner IV spacecraft on the historic first flyby of Mars. Along with other dishes in the Deep Space Network, it returned the first close up images of the surface of Mars. 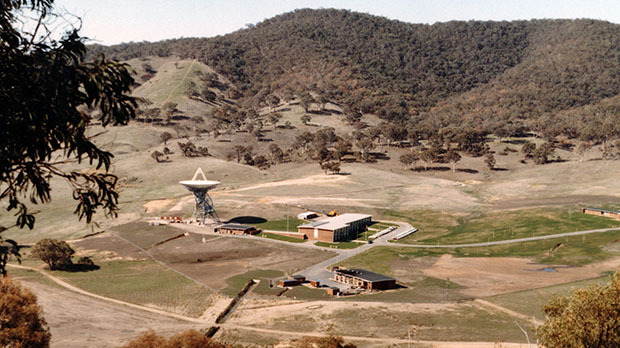 DSS42 was originally constructed as a 26-metre diameter antenna. 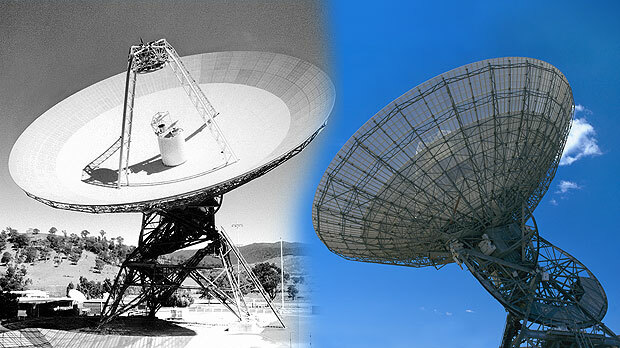 To extend its life and increase its capabilities, the dish was modified in the early 1980s to 34-metres. The design of the antenna was 'Hour Angle/Declination'. The Hour Angle gear wheel moves the antenna east and west. Its axis is parallel to the spin axis of Earth and pointed at the south celestial pole. The axis for the Declination gear wheel moved in a plane parallel to the Earth’s equatorial plane, allowing movement of the antenna north and south. Once the Declination Angle has been set, usually only the Hour Angle gear wheel needed to be moved to track a spacecraft that rose in the east and set in the west. DSS-42 continued to provide two-way radio communications with many dozens of robotic deep space missions until its retirement from service in early 2000, well past its original expected design life. Due to some structural weakness and metal fatigue, the antenna was dismantled. The quadrupod and subreflector structure from inside the dish was retained and moved to a location behind the Complex's Visitor Centre where it stands today, along with one of its dish panels. Find more photos of Deep Space Station 42 in our Gallery.